The leader of the opposition in Britain's Parliament Jeremy Corbyn has caved in to pressure from government lawmakers and those from his own Labour Party, suspending Naz Shah, the Bradford West Member of Parliament over remarks she made about Israel on Facebook. 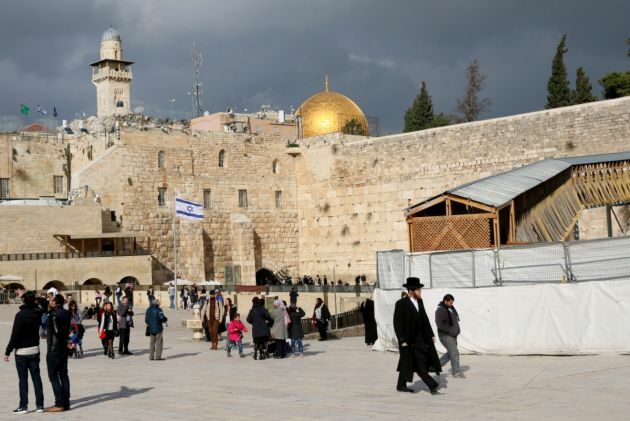 The Labour Party responded to charges of anti-Semitism on April 27 by suspending Shah, who had suggested a policy of "transportation" for Israeli citizens to the United States as a "solution for the Israel-Palestine conflict." Corbyn has faced repeat accusations in recent months for failing to take a sufficiently tough line against antisemitism and acted against Shah only after coming under intense political pressure, The Financial Times reported. Later his party also suspended former London mayor Ken Livingstone for saying Shah's remarks were not antisemitic. The allegations center around a 2014 Facebook post, in which Shah shared a graphic of Israel's outline superimposed on a map of the United States under the headline "Solution for Israel-Palestine Conflict – Relocate Israel into United States", with the comment: "Problem solved." A Labour Party spokesman said: "Jeremy Corbyn and Naz Shah have mutually agreed that she is administratively suspended from the Labour party by the general secretary. Pending investigation, she is unable to take part in any party activity and the whip is removed [so she cannot represent the party]." UK Prime Minister David Cameron said it was "quite extraordinary" that she had not been suspended and found support from Corbyn's side, with Labour MP Lisa Nandy suggesting that Shah should be suspended "pending an investigation". "I made clear my view to the leader's office that we should suspend anybody who makes antisemitic remarks, in line with our policy, and investigate," Nandy told the BBC's Daily Politics. The pressure finally told 24-hours after Shah stepped down from her role as aide to shadow chancellor [finance chief] John McDonnell, after it was revealed she had shared the Facebook graphic showing an image of Israel's outline superimposed on to a map of the United States, The Jewish News reported. Shah told lawmakers, "I wholeheartedly apologise to this house for the words I used before I became a member. I accept and understand that the words I used caused upset and hurt to the Jewish community and I deeply regret that." She stepped down as parliamentary assistant to McDonnell on April 26 and was summoned the following day to a meeting with Corbyn, who told her the comments were "offensive and unacceptable". Corbyn accepted she no longer held those views. (Screengrab from video of speech. 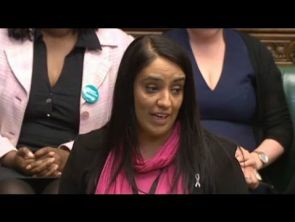 )UK Member of Parliament Naz Shah apologizes to parliament for remarks she posted on Facebook in 2014 saying Israel should relocate to the United States after she was accused of antisemitism. MP John Woodcock,a former chair of the Labour Friends of Israel, said: "The handling of this has been a mess. But the most important thing is that the Labour leadership properly acknowledges now the scale of the antisemitism problem that is growing in the party," The Guardian reported. "This is abhorrent to our values as a party. It ought to transcend views on the leadership and wider party direction but unless and until it is gripped by everyone from Jeremy downwards it is going to fester and undermine everything we do."